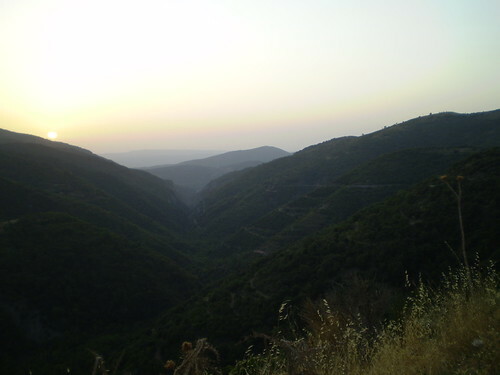 The Greek mainland is arid and mountainous. In a matter of minutes you can go from sea level to impressive elevations as we found out driving to Delphi from the coast. I have always love the view down from the top of a mountain and there which quite a few contenders in Greece. By far the most scenic stretch of road popped up as we traveled from Corinth to Olympia. Specifically, I am talking about the mountain road from Levidi to Dafni as shown in the map below. The high point (literally and proverbially) was the beautiful village of and the stunning valley views from around Langadia, or Lagkadia depending on spelling. From Levidi, the road quickly climbed through slow switch-backs and hairpin turns. The forest was dense but every so often there would a break to see the incredible drop into the valley and the smoothed, tightly packed range of mountains. Pull offs to enjoy the view were scarce and small in size so you’ll likely need to back track if you miss one, but it’s worth it. In tiny villages that clung to the mountain side, local life spilled out somewhat into the road making us slow down and wave as we passed through. While the mountain pass was beautiful, blind turns can be a little scary for any driver. We set out late from Corinth and so it was 8pm when we reached Olympia and definitely dark. I would try to get out of the mountains by dusk for best visibility. 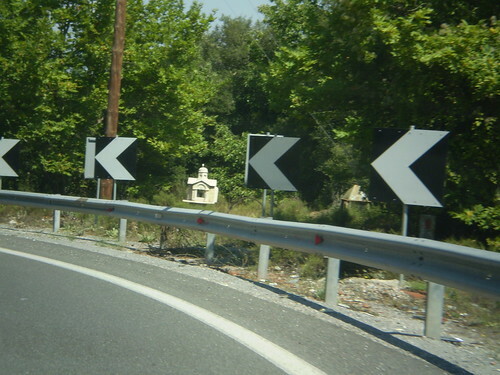 Aside from the main national highway, Greek roads are decorated with memorials shaped like little Orthodox churches. I presume these are to remember auto deaths; they serve as sad and constant reminders to drive safely. Luckily this stretch of mountain road is so beautiful you’ll want to drive slow just to make sure you can take it all in. Langadia looks beautiful. I like the photo of the main square…it makes me want to live in Greece! Thanks! 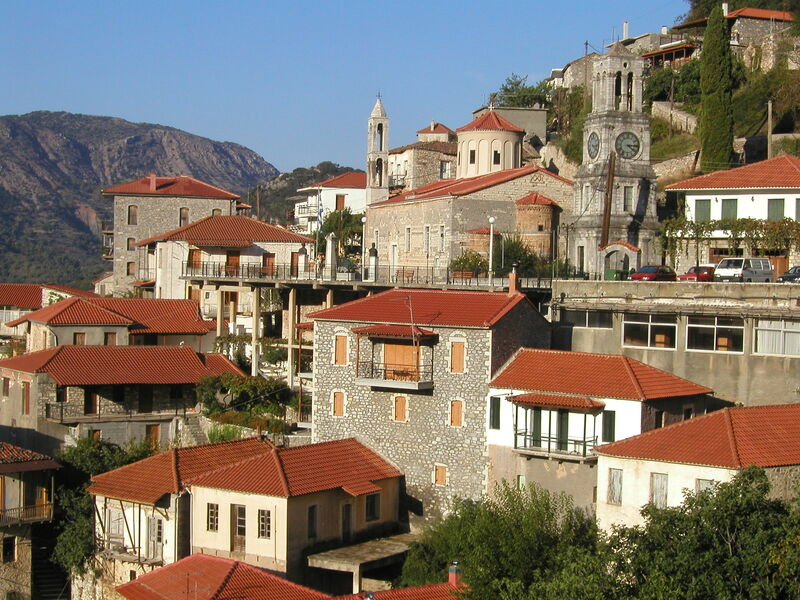 There were some beautiful little villages in mainland Greece. We were lucky enough to stumble upon Langadia. I also liked Arachova near Delphi (http://wp.me/p1HpWg-4c) were we spent one night.